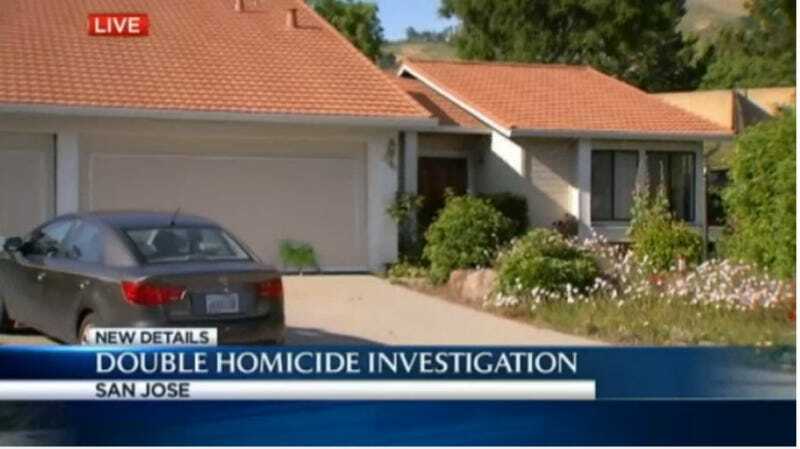 A San Jose couple was found murdered in their home Sunday afternoon. Their two sons, ages 22 and 17, are now being held without bail on suspicion of murder. Anonymous sources who claim to have seen the murder scene told several local news agencies that a “rambling diatribe” was written on the walls and floor. Golam and Shabiba Rabbi, 57 and 59, were Bangladeshi Muslims who emigrated decades ago. After they were found shot to death, the younger brother, who isn’t being named in news reports because of his age, was reportedly taken in for questioning. Now he’s been arrested, along with his older brother, Hasib Golamrabbi, 22. Then, on the wall, a much longer, rambling diatribe, in the same permanent lettering. The end allegedly read something like: “I can’t be like you, telling a lie. I can’t love someone without telling them,” the sources claimed. Somewhere in the rant was a part about how the wife begged for her life as she was being killed, sources told NBC Bay Area on Tuesday.